If you want to do this with more time points though, use the wikipediatrend package for convenience access statistics directly downloaded into your R-session. See also [here] for a quick introduction to package use. Thanks Peter for your handy package. Combined with Benedikt original post I was able to detect anomalies on Marie Currie’s Wikipedia page. This is cool! 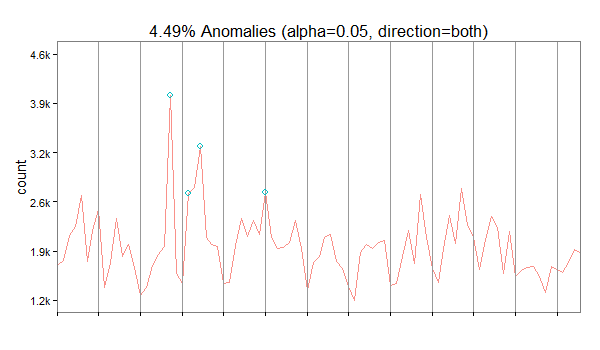 I’m just getting into time-series concepts and these packages look promising, but how does this type of analysis differ from methods used to find global and local maxima/minima? For example, like the one implemented in pastec’s turnpoints() function? Interesting review! 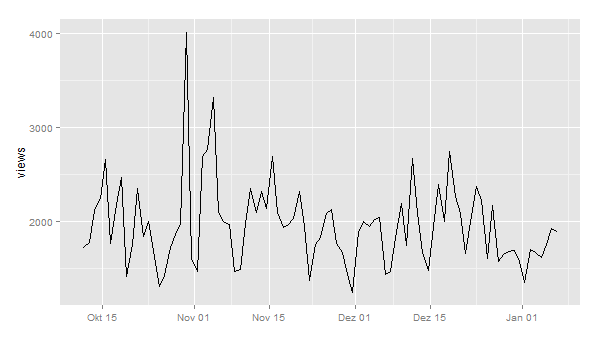 But how can I render some date labels on x axis?